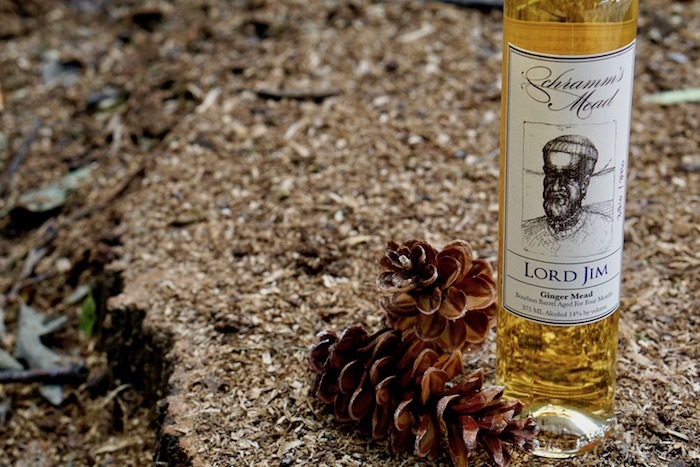 Our first release of a barrel aged mead, Lord Jim represents an evolution of flavor for Schramm’s Ginger mead. Aged for four months in hand-selected bourbon barrels, Lord Jim typifies pure ginger root and floral honey accompanied by notes of vanilla, oak and creme brulee with a hint of smooth bourbon. The added complexity from the barrel aging process rounds out and smooths the spiciness of the ginger to create a warm and extremely flavorful mead.